highest values of them compared with other treatments, and also the highest value of spike length, grain and biological yields (t/ha) of triticale (in both seasons) and spike weight (in the first season) was obtained under Cerialin alone or mixed with phosphorene treatment. Increasing nitrogen levels lead to highly significant and significant increase in plant height in the first and second seasons. 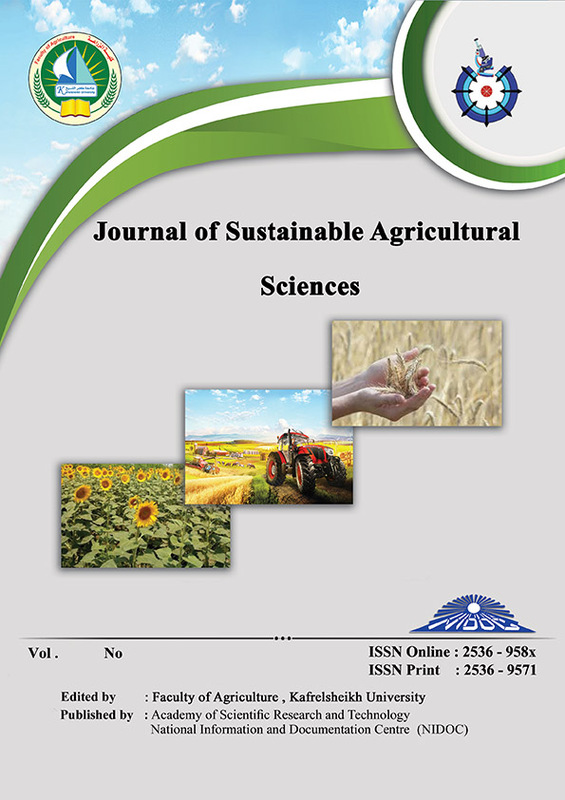 The highly significant differences were observed with chlorophyll a and chlorophyll b content (mg/ds) of triticale plant in 2011/2012 season. Also, data showed that highly significant differences existed among the nitrogen levels on spike length and weight (in 2011/2012 and 2012/2013 seasons) and significant differences on spike length and spikelets number/spike (in 2011/2012 season), as well as grains number/spike, grain weight/spike, protein content (%) (in 2012/2013 season) and 1000-grain weight, grain and biological yields (t/ha) of triticale (inboth seasons). The level of 120 kg N/ha gave the highest values without significant differences when using 100 kg N/ha for some traits. The interaction effect between biofertilizer and nitrogen levels was significant on spike weight, number of grains/spike and grain weight/spike (in2012/2013 season) and biological yield of triticale (in both seasons). The highest values were recorded when using mixture of phosphorene and Cerialin treatment at the rate of 120 Kg N/ha.